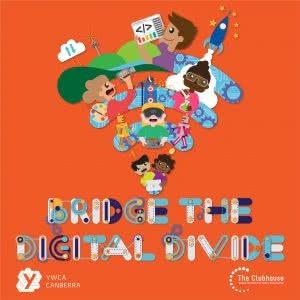 The YWCA Canberra Clubhouse provides young people with a unique opportunity to experience industry standard technologies, participate in STEAM activities and work alongside adult mentors, ultimately developing the skills and attributes necessary to create a brighter future. With the essential support of our cross-sector partners, volunteers, Tuggeranong community, and our dedicated staff, our members now have access to cutting edge technology, industry mentors and a supportive environment that fosters their creativity and independent learning almost every week of the year. Watch our video to see some of the highlights from the past year. Our impact studies show that our members report the engagement with the Clubhouse has increased the likelihood they will finish school, and pursue further studies or careers in STEAM. By contributing whatever you can afford, you will help young people at risk of disengaging from school to connect with adult mentors to develop new skills, explore their own ideas, and build confidence in themselves using technology, which can lead to future employment and training opportunities.